Afternoon Delight (mixed bag): The promising duo of Kathryn Hahn and Juno Temple partner for a film with an alluring premise – a happily married woman meets and befriends a young stripper – that gets a bit lost along the way and never quite finds its footing. Now playing at Landmark Sunshine. Read my review from Sundance. The Lifeguard (mixed bag): Kristen Bell stars in this lukewarm story about a young woman with a terrific New York City job who moves home to work as a lifeguard. Kristen Bell can’t save this entertaining but aimless entry from Sundance. Now playing at Cinema Village. Read my review from Sundance. At Any Price (anti-recommended): This excessively familiar and trite story of a father and son with different interests is far from exciting, and an over-the-top performance from Dennis Quaid in the lead role doesn’t help matters much. This could have been an affecting film, but it doesn’t even come close to providing viewers with a lasting emotional connection. 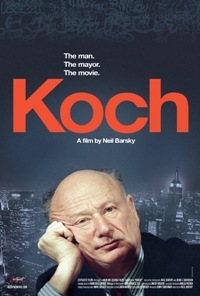 Koch (recommended): This documentary was slated to open yesterday before its subject, famed former New York Mayor Ed Koch, passed away just one month earlier. This chronicle of his time in politics and the way he perceived is less linear that it is focused, and it represents a hard, deep look at a truly interesting man. 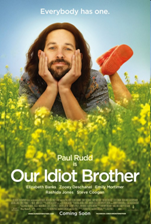 Our Idiot Brother (recommended): This ensemble comedy starring Paul Rudd sounds very appealing, thanks in no small part to those who play the title character’s family members – Emily Mortimer, Zooey Deschanel, and Elizabeth Banks. It’s hardly a classic, but it’s still good fun. The Road (recommended): This dystopian drama based on a novel by Cormac McCarthy, author of “No Country for Old Men,” is a dark but effective vision of a society long gone, with committed performances from Viggo Mortensen and Kodi Smit-McPhee.